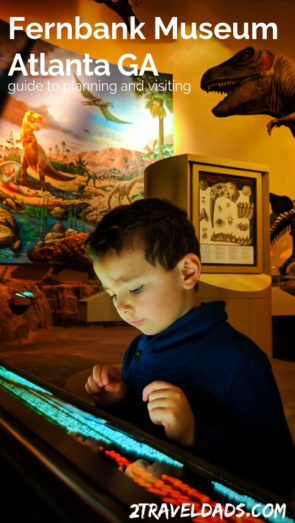 Whenever you visit a museum with kids there are several things to consider, from food to attention span. Luckily the Fernbank Museum has you covered. There is a cafe on site for dining, whether you brought your own lunch or not, and plenty of public space both outside and inside in the main dinosaur display hall. 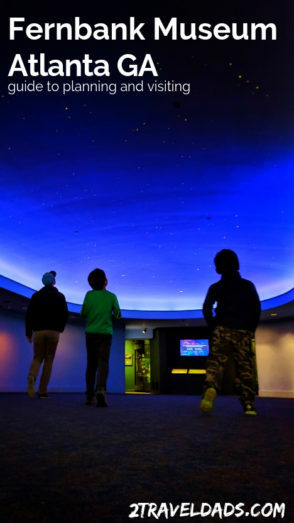 For the kids that need some down time to sit and observe, there is a giant-screen theater onsite that shows a variety of IMAX and IMAX style educational films (extra cost). This is a great addition to a visit when the weather isn’t awesome and the kids aren’t going to love exploring the boardwalks. The boardwalks!! See below to find out what I’m talking about. Lastly, the Fernbank Museum also brings in rotating special exhibits. When we visited, they were between exhibits, setting up a touring pterosaur exposition. We actually saw the incoming displays at the California Academy of Sciences in San Francisco. It was pretty cool. Tip: plan your visit in advance. If there’s a special exhibit or films playing that you’ll be interested in, budget your time to accommodate the additional sights. 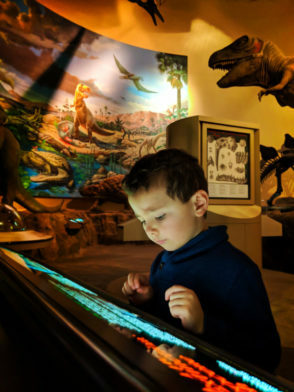 Required time: allow yourself two hours+ for doing the complete Fernbank experience. If you incorporate a giant-screen movie into your visit, add an additional 45 minutes (depending on the show). There were two exhibits that we particularly enjoyed at the Fernbank Museum of Natural History. The Walk Through Time in Georgia exhibit was really cool. Starting with taxidermy displays of the many ecosystems of modern day Georgia and transitioning to small displays featuring protozoa and crawly things, nothing is missed in the Walk Through Time. 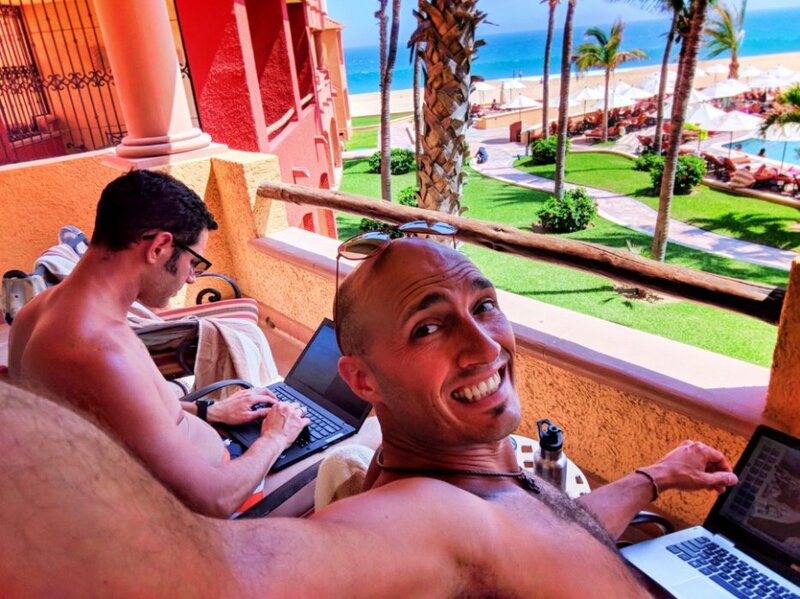 Adding in the dinosaurs, insects and vegetation and it’s the complete story. Note: there are several stops in this LARGE exhibit with short films. We found the Collision of the Continents film to be the most interesting with the kids. The film was very dated, but it was the best explanation of plate tectonics for kids that we’ve ever seen. Another favorite spot was the World of Shells. I know, it sounds odd or not that cool. It reminded me of the gem collection in the Smithsonian Museum of Natural History… but with sea shells. 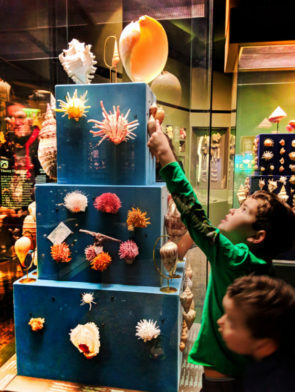 Between the science of shells and the artfully displayed collection, it’s really something to see. It was the most beautiful collection we’ve seen. Gorgeous even. Lastly, the dinosaur displays were just really cool. The main pavilion dinosaur skeletons are incredible. There are two large replicas here: the Argentinosaurus and the Giganotosaurus. They are surrounded by perched and circling pterosaurs. It’s awe inspiring. And outside there are some really cool dino-sculptures too. 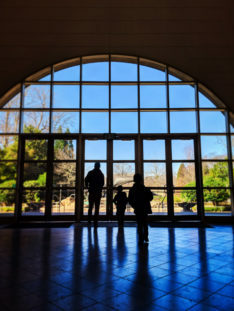 Just so many dinosaurs displayed in such cool ways, the Fernbank Museum of Natural History was really neat for our kids. 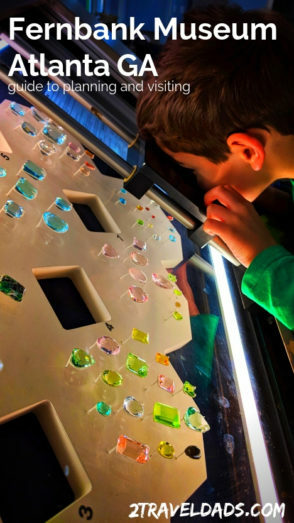 Tip: the Fernbank Museum has put together a great resource page full of activities to make visiting with kids even more fun and engaging, including downloads/printables. 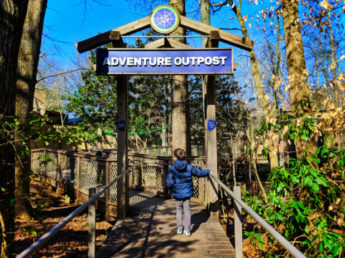 Once you’re done inside the Fernbank Museum, it’s time to explore the forest! 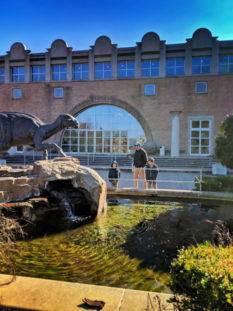 We visit a lot of parks, museums and educational centers, but few have wowed us with their outdoor learning space like the Fernbank. 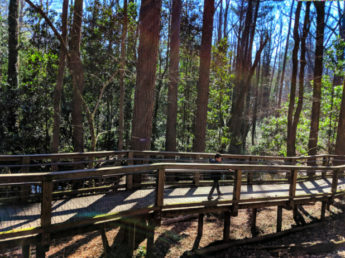 Boardwalks stretch above the forest floor with displays about the local forest structure and ecosystem. 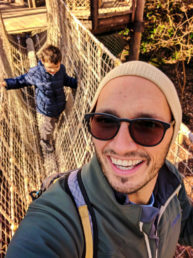 There is a cool big kid play area with exhibits about weather, rope bridges and climbing spaces; there’s an outdoor classroom for special education events, a winding stream, nature stories area and more. Also, there’s a very large outdoor gallery full of nature art called the Nature Gallery. Large installation pieces made of forest materials fit perfectly into the outdoor learning and exploration space. It’s awesome! Tip: plan extra time to run around on the boardwalks if you can and the weather is nice. 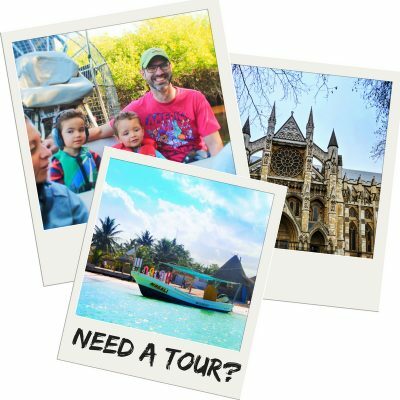 It was really unique to the many museums and parks we visit and we loved it! 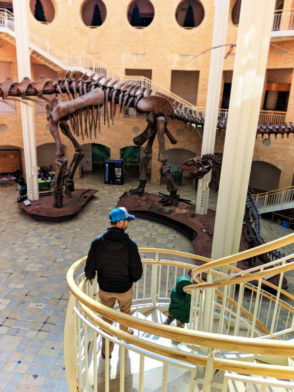 Since visiting the Fernbank Museum with kids isn’t an all day activity, there are quite a few other sites and activities you can add. 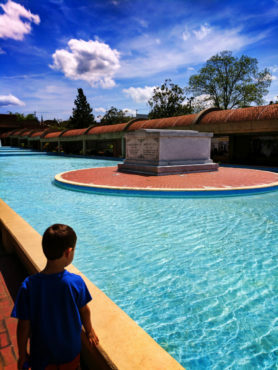 We HIGHLY recommend spending at least an hour exploring the Martin Luther King Jr National Historic Site. 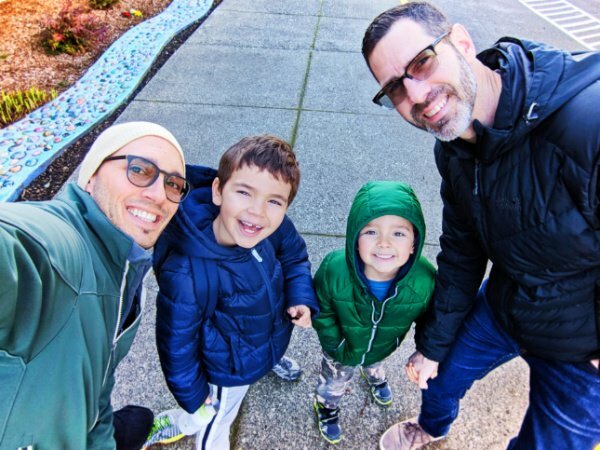 It’s an emotional place to visit, even if the kids don’t fully grasp the importance. 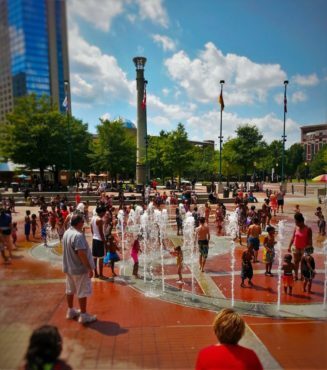 It’s our #1 pick for anybody visiting Atlanta, with or without kids. 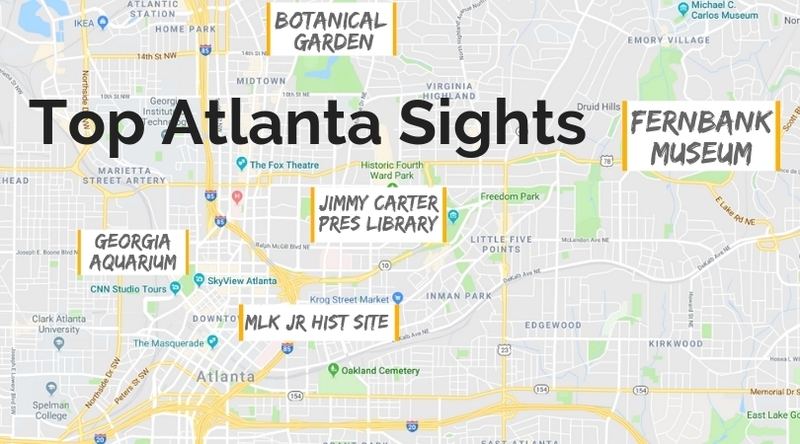 Other options that are nearby include the Jimmy Carter Presidential Library (we haven’t been yet), Zoo Atlanta (it’s pretty good and they have pandas), and Centennial Park in downtown. We loved doing Centennial Park at Christmas when it was all decked out with lights and the Chinese Lantern Festival was there. 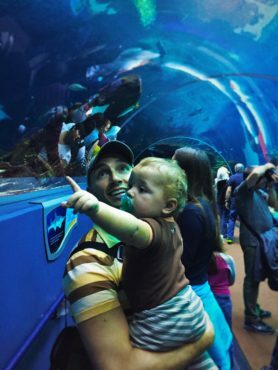 The last recommendation we have is the Georgia Aquarium. It really is impressive and they’ve made some big changes to some of their programs, most notably the dolphins, but it’s still not a place we plan to return to. Yes, the animals are incredible, but there are some things that didn’t set right with us (read our full article here). 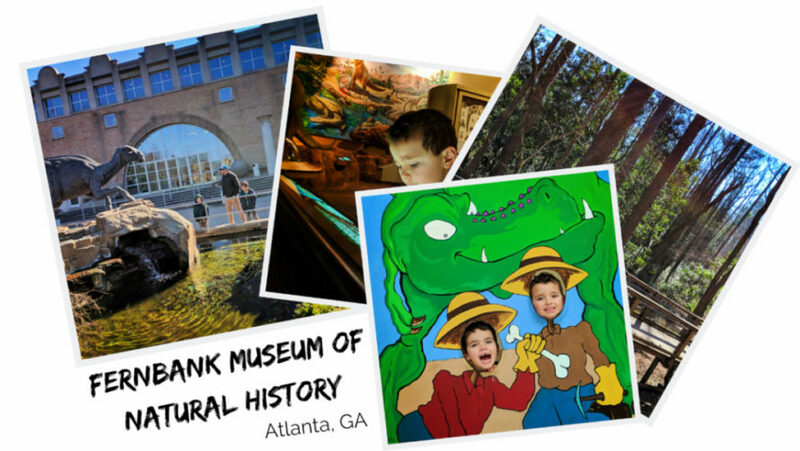 Overall, planning a day trip into Atlanta to visit the Fernbank Museum of Natural History is a great idea. 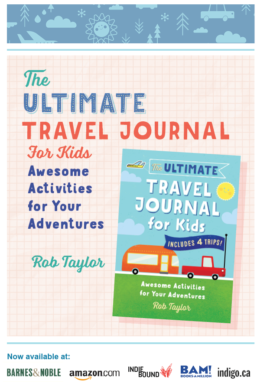 Kids and adults alike will enjoy it, particularly when the weather cooperates. 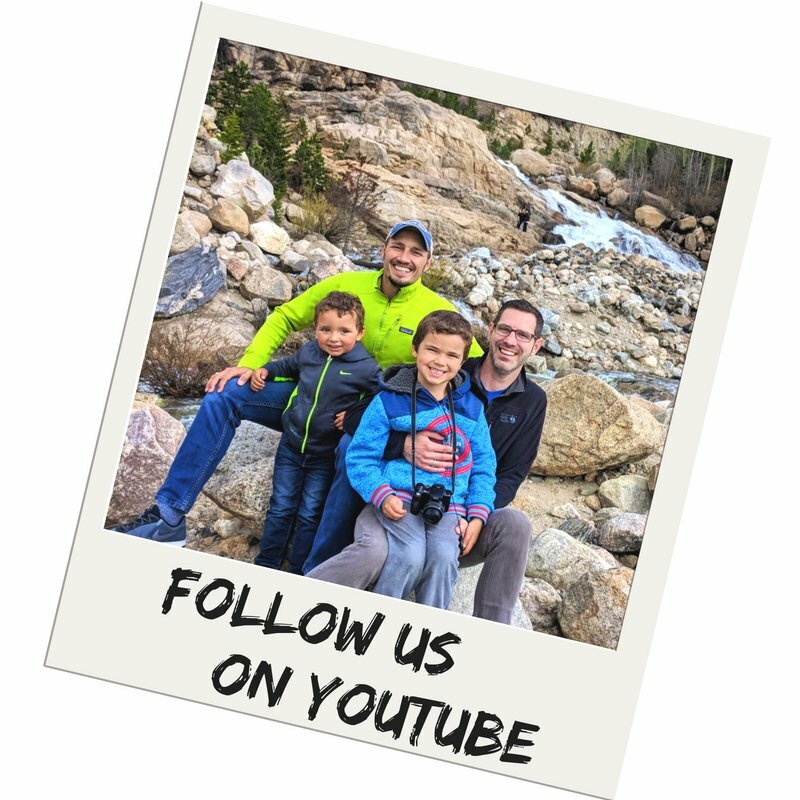 If you have any additional suggestions or questions, please send us a note or leave a comment below. 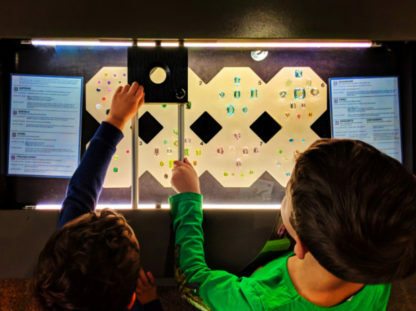 Want to pin this for planning your own visit to the Fernbank Museum? Go for it!! !